Emissions from crop residue burning in neighbouring regions are the major contributor to New Delhi's notorious winter pollution, a study has found. The research, published in the journal Nature Sustainability, shows that urban emissions of black carbon from fossil fuel combustion are not always the main contributor to severe air pollution in South Asian megacities like New Delhi. While fossil fuel emissions in New Delhi account for 80 per cent of the air pollution plume during the summer, emissions from biomass burning (such as crop residue burning) in neighbouring regions rival those from fossil fuels during the fall and winter. "Black carbon aerosols are damaging to human health and their levels are higher in New Delhi than in many other megacities. During fall and winter, the levels of polluting air particles in New Delhi can reach ten times the limit recommended by the World Health Organization (WHO)," said August Andersson, from Stockholm University in Sweden. "To determine the environmental effects of black carbon in this highly populated city, it is crucial to quantify the contributions from the key emissions sources," said Andersson. The researchers collected air samples from New Delhi during 2011 and analysed their black carbon content by creating carbon isotope signature profiles of each of the samples to identify the source of the particles. Different sources of carbon give their own unique isotopic fingerprints. When they compared the relative amounts of the black carbon particles from the different sources over the course of a year they discovered a strong seasonal variation. The relative contribution from fossil fuel combustion peaked during rainy summers and the contribution from biomass burning (for example wood and straw burning) peaked during the dry fall and winter months. 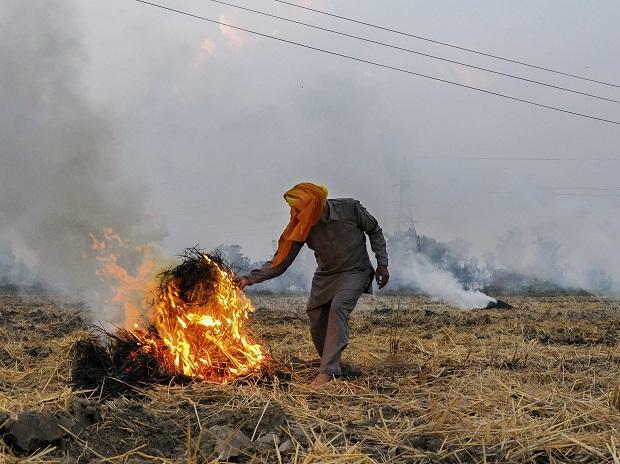 In addition, the scientists found that the sources of the high biomass emissions were regional rather than local and urban, for example, burning of residual crops by farmers living approximately 200 km away from New Delhi. In India, crop residue burning occurs after harvest, which typically occurs in October/November for wheat, and in April/May for rice, researchers said. "Our findings contradict the widespread notion that the emission flux between cities and the countryside is mainly one-way," said Andersson. "The wintertime regional influx of black carbon into New Delhi suggests that to efficiently combat severe air pollution, it is necessary to not only mitigate the urban emissions, but also regional-scale biomass emissions, including agricultural crop residue burning," he said.